Discussion in 'Thumpers' started by Eddy Alvarez, Apr 22, 2016. Per gearing commander, a 15/41 will have a top speed of around 88mph, 15/43 will max out at around 84mph and may require a longer chain. It's extremely hard to go past 84 with the RR lvl 2 suspension and tall windscreen on. You can do it, after WOT for a long period of time and proper conditions (new top with RR kit of 88mph). Maybe I'll consider the 15t. ngs88, stevetheb, O Captain My Captain and 5 others like this. I'm waiting on a Level 1 from RR. Today it managed to hit 80 with the 15t on flat highway, although it felt like it was already maxed out so I wouldn't be surprised if the actual speed is 5-10mph lower than on paper. Then I found the baby GS's limit. ...hillclimbs. And now it gets to live in the woods through a thunderstorm, until it dries out. stevetheb, randypower and ChappyADVR like this. Do I recall that you were on Shinkos? Because that was my exact problem. Muddy hillclimbs. Except first thing in the morning, no storm, and fewer deer. Yup! Shinko 804/805. I've been very impressed with how well they've been working and they've made that climb before, but that slick clay did them in. With both brakes locked up it still slid backwards downhill. stevetheb and HorakCM like this. Maybe I'm in a wrong topic, but I have a few concerns with my GS. Sometimes throttle becomes jerky from idle. Like then closing throttle to decelerate and then opening it up just a tiny bit, it is jerky. Other times it's smooth again. I have this strange feeling with rear suspension. Then going over bigger whoops or holes, sometimes the rear is like diving and for a fracture of moment, it almost feels like I lose torque or wheel is stuck. I'm 67 kg without gear, have added 6 klicks of preload and it's better, but not completely eliminated. Also I get occasional very slight rear wheel wobbling. 1 month and 600 km. I recall suggesting some TKC80's before you went ahead with the Shinko's mate! Yes, yes you did. Honestly though, with my skill level, tyres aren't going to make too much difference, and Shinkos are half the price of TKCs, so... I'm interested though, in the fact that the rear Shinkos appear to have such an Achilles heel with lateral stability! On tarmac they're amazing - a knobbie that's nearly peg down capable! I've got some Motoz Tractionator Adventures that I'm about to try, which will be an interesting comparison. How's your bike going dude? Have they released it yet, or still on sidestand hold? They had black. I couldn't resist! brewhaha1, stevetheb, Tyler123 and 4 others like this. Doesn't matter that it's black - welcome to the club! randypower and 71CB100 like this. Tyler123, TTGator, randypower and 5 others like this. All other G310GSs wish they could be black! Citizen, TTGator, randypower and 4 others like this. Two and a half days mini-vacation! 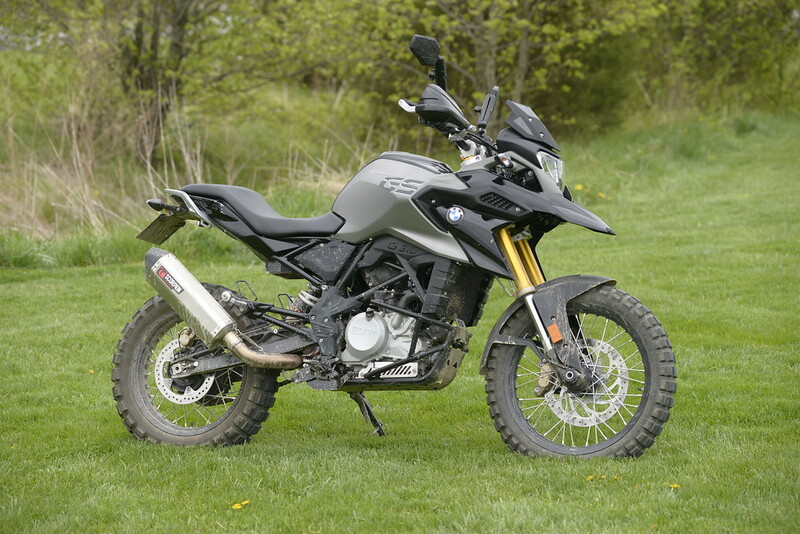 I took the G310GS to Lapland and the Arctic Sea. Above the treeline in the northern parts of Norway. Approaching Alta from the west. I met only one car on this 40 km gravel road in Lapland/Finland. Bugs. The rest of them are on my helmet. I had packed very light because i didn't really need any camping gear. I attempted to do a SaddleSore 1000 (1000 miles (1609 km) in 24 hours) on my way up allowing very little time to sleep. The second night I stayed at a hotel. In addition to a Pelican style top case I have Hepco & Becker hard panniers and a waterproof Ortlieb 24 liter Rack Pack. The panniers are really more small than practical, but I think they fit the bike well. The Ortlieb wasn't even half full this time, and I think a bigger 31 liter version would also fit the bike nicely for more packing capacity. The Pelican-style top case is very practical in use. All in all I covered 3160 km. I stopped for fuel 21 times. 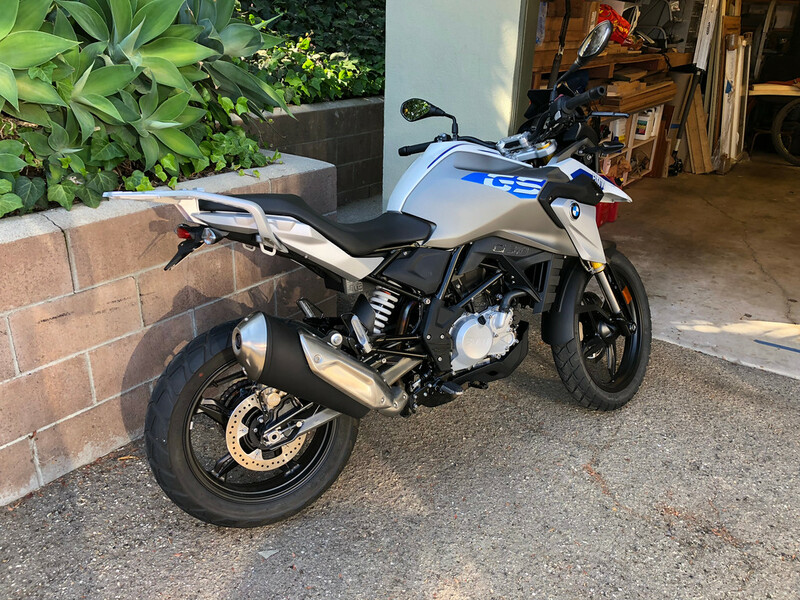 I'm very happy with the G310GS so far. The stock suspension fits this kind of riding very well. Even motorways are somewhat enjoyable even if the motor is close to it's limit. 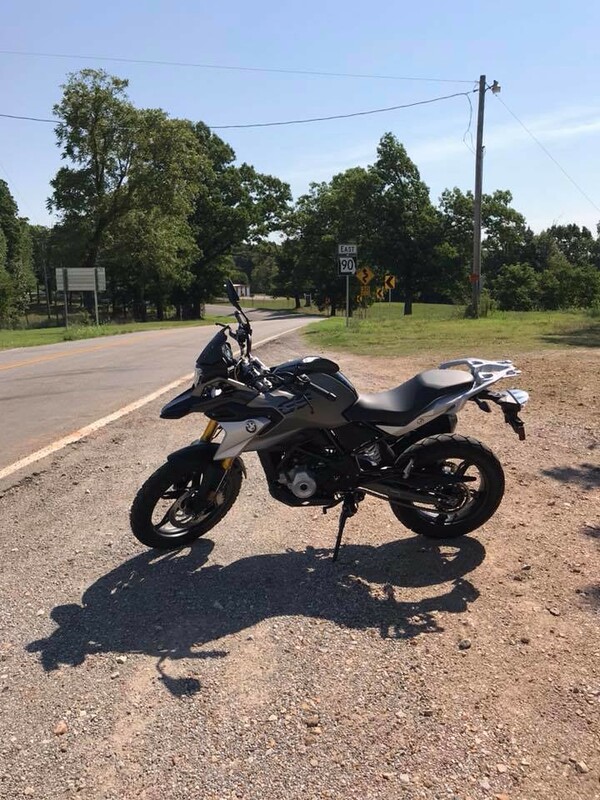 There is some vibration on the footpegs and handlebars but that's close to neutral, on the scale between likable and annoying. Also I find the stock saddle pretty good. Looking forward to more rides in the future! stevetheb, randypower, ChappyADVR and 5 others like this. GreatNorthRider, 1suffolkmare and ChappyADVR like this. And the white ones, even though they look like toys. Spotted another painted 310 here in MD not too long ago, back left. Last evening my wife walked out into the garage and said "holly crap, what have you done?" The entire aft end of the bike was scattered about the place. She said "why did you do that? It's only been here 23 hours"
My reply of course was " it was only 21 hours when I started and why wouldn't I? " She rolled her eyes and went away. She's a keeper!!! 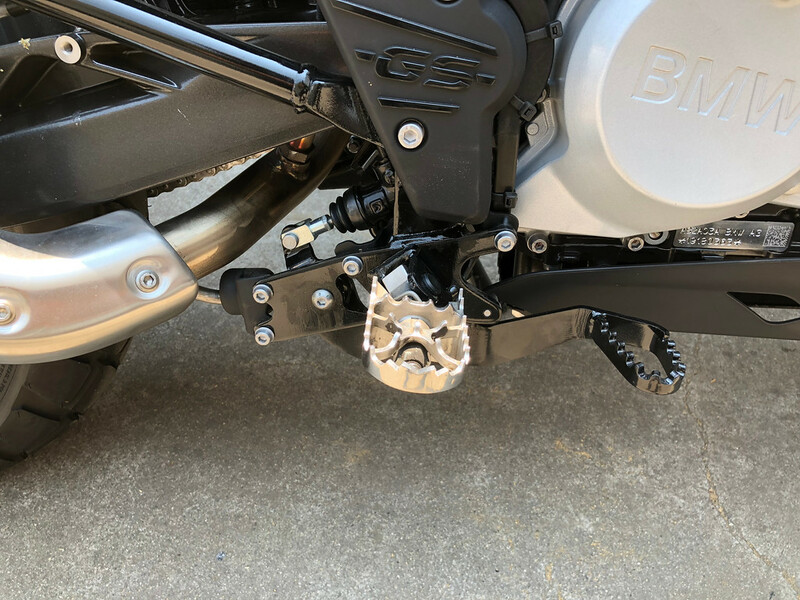 Today I dug through my cast off parts and came up with a pair of Pivot-Pegs that are either from one of my 1150 GS's or my 800 GS. I'm not sure. With a few mods like grinding .020 off of the "pin length" surface and then welding a piece of 1/8" stainless to the surface that stops them at level, they worked! Yes, I did have to trim a little off of the left peg to get it to fold up a little more but my trim let it fold up more than the stock peg but yet let it protect the shifter still. I did need to adjust the shifter up a little but the bonus here is I can actually find the break lever now. I also spent some time and lubricated every thing the dealer should have. 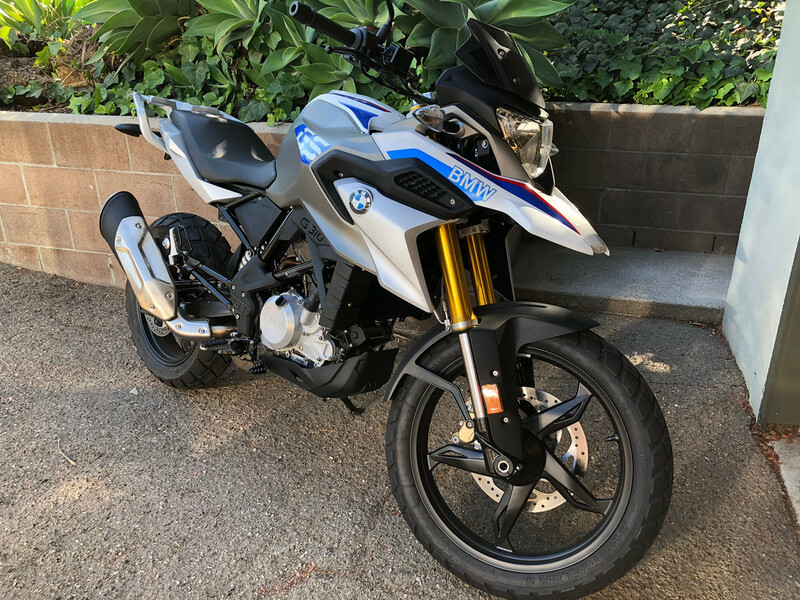 This is a nice little bike! brewhaha1, stevetheb, shelglass and 4 others like this. How can I like this twice?